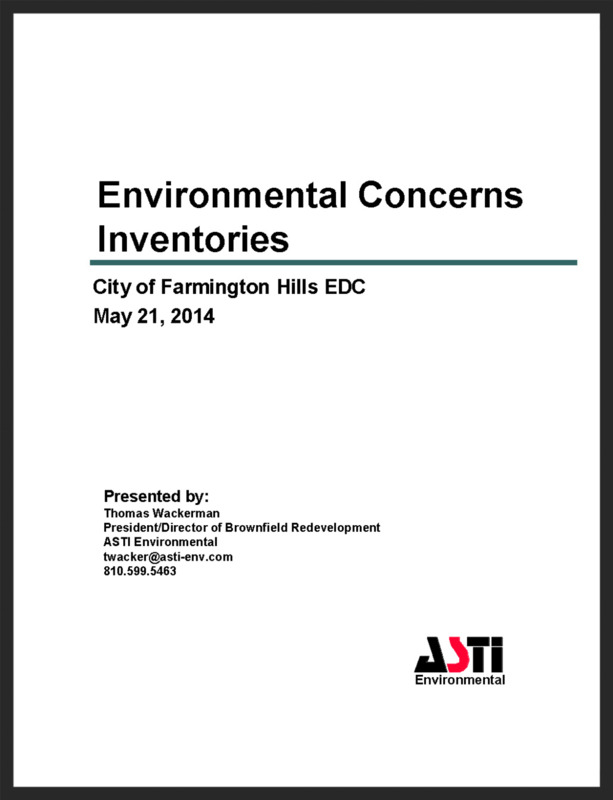 WACKERMAN TO PRESENT "ENVIRONMENTAL CONCERNS INVENTORY, AN ECONOMIC DEVELOPMENT TOOL"
Mr. Thomas Wackerman, President and Owner of ASTI Environmental (ASTI), will present "Environmental Concerns Inventory, An Economic Development Tool" to the City of Farmington Hills Economic Development Corporation on May 21. 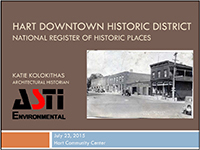 ASTI has completed Environmental Concern Inventories (ECI) for municipalities around the state, ranging from assessments for linear parks, to redevelopment zones surrounding transit stops, to targeted redevelopment areas. These studies help assess real and perceived environmental impediments to redevelopment and can be a valuable tool in creating district Brownfield financing strategies.